Barbara Harris (b. Evanston, IL, July 25, 1935) is widely recognized as a pioneer in the field of improvisational theatre, along with Elaine May and Mike Nichols, with whom she worked as a teenager. Harris won a Tony Award® in 1967 for her performances in the musical The Apple Tree, and was nominated four times for Golden Globe® Awards for her work in film, notably her memorable performance as the chintzy country singer Albuquerque in Robert Altman’s Nashville. She was nominated for an Oscar® (Supporting Role, 1972) for Who Is Harry Kellerman and Why Is He Saying Those Terrible Things About Me? (1971). Harris grew up in Evanston; her mother was an accomplished pianist, and her father an arborist who later became a businessman. While she was still a teenager, Harris played small parts in Chicago’s Playwrights Theatre Club (other players included Edward Asner as well as Nichols and May). She married Paul Sills, the founder of The Compass Players, the first improvisational theater troupe in the country, which she joined. Neither the troupe nor the marriage survived, but Sills started over with a reconstituted company called The Second City, including Barbara Harris, Alan Arkin, Severn Darden, and Paul Sand. It was a huge success in Chicago and moved to Broadway in the Fall of 1961 with ten sketches under the title of From the Second City. Both Harris and Darden were nominated for Tony Awards®. Harris intended to return to Chicago, but stayed in New York because Richard Rodgers and Alan Jay Lerner expressed an interest in writing a musical for her. While this was pending, she appeared on Broadway with Anne Bancroft in a production (nominated for five Tonys®) of Bertolt Brecht’s Mother Courage (1963), staged by Jerome Robbins. She also worked in television during this period, in episodes on popular series like Alfred Hitchcock Presents, Channing, Naked City, The Defenders and The Nurses. 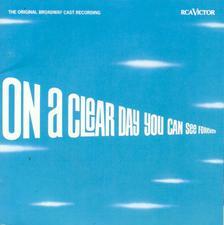 Ultimately Richard Rodgers pulled out of Lerner’s project, and the Broadway musical created for Barbara Harris, On a Clear Day You Can See Forever (1965), was finished by Alan Jay Lerner and Burton Lane. It ran for 280 performances and won three Tony® nominations, one of them (1966) for Harris. In 1965 Harris made her film debut with Jason Robards and Martin Balsam in the screen version of A Thousand Clowns. Balsam won the Oscar® for Best Supporting Actor, the film won four other nominations, and Golden Globe® nominations went to Robards and Harris. The film version of Arthur Kopit’s dark farce Oh Dad, Poor Dad, Mama’s Hung You in the Closet and I’m Feelin’ So Sad (1967) then gave her further opportunity to show off her outstanding comedic skills, and won her a Theatre World Award. 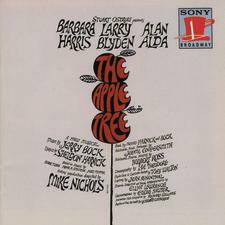 Back on Broadway in 1966, Harris performed with Alan Alda and Larry Blyden in another vehicle written especially for her, The Apple Tree, by composer Jerry Bock and lyricist Sheldon Harnick. The three-act show, based on tales by Mark Twain, Frank R. Stockton, and Jules Feiffer, did not meet with good reviews, but Harris’s star turn in three roles snagged her the 1967 Tony® for Best Actress in a Musical. After The Apple Tree, just when she had reached the top as a Broadway star, she vanished from the New York stage – except for a brief off-Broadway appearance in 1970 as Jenny in the first American production of Brecht and Weill’s Mahagonny – and turned decisively to film. She played major roles in fifteen more films, including The War Between Men and Women (1972), Nashville (Golden Globe® nomination, 1975), Freaky Friday (Golden Globe® nomination, 1976), Family Plot (Golden Globe® nomination, 1976), Plaza Suite (1971), Movie Movie (1978), The Seduction of Joe Tynan (1979), The North Avenue Irregulars (1979), Second-Hand Hearts (1981), Peggy Sue Got Married (1986), Dirty Rotten Scoundrels (1988) and Grosse Pointe Blank (1997). 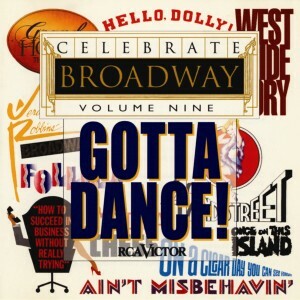 In a 2002 interview Harris discussed her abandonment of Broadway stardom: “Who wants to be up on the stage all the time? It isn’t easy. You have to be awfully invested in the fame aspect, and I really never was. What I cared about was the discipline of acting, whether I did well or not. . . . I think the only thing that drew me to acting in the first place was the group of people I was working with: Ed Asner, Paul Sills, Mike Nichols, Elaine May. And all I really wanted to do back then was rehearsal. I was in it for the process, and I really resented having to go out and do a performance for an audience, because the process stopped; it had to freeze and be the same every night. It wasn’t as interesting.” Her primary interests now are teaching and directing.